Snorkel in Hawaii – Like a Ninja! 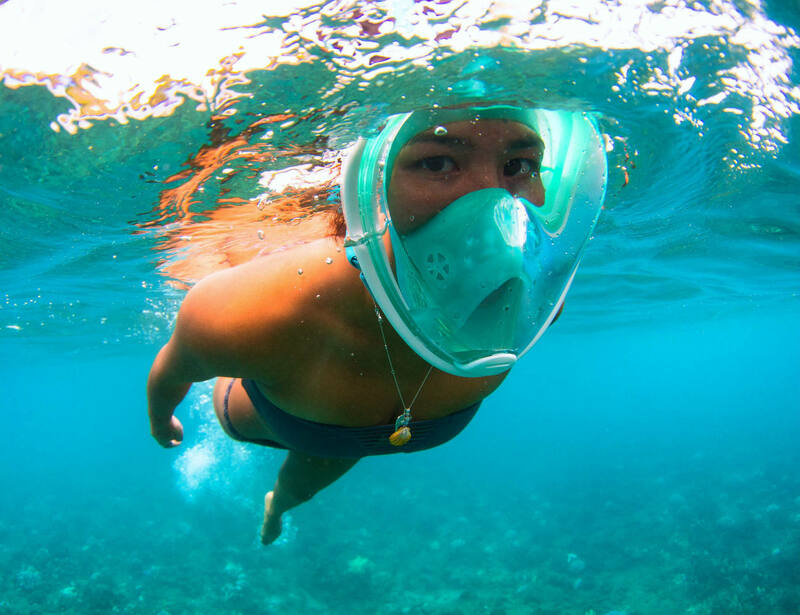 It seems some ingenious entrepreneur in Hawaii has found a way to incorporate the utility of a snorkel with the comfort of a full-face mask and NO mouthpiece. 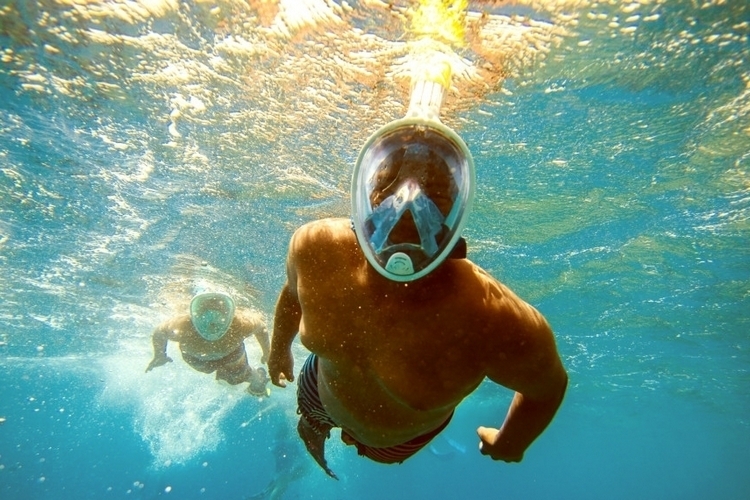 It’s called the H2O Ninja Mask, and the snorkel allows you to breathe underwater just like you would on land, without having to constantly be chewing on that plastic mouthpiece that you find with traditional snorkels and snorkeling masks. They even make a GoPro edition that comes with a head mount for your GoPro camera so you can dive with it unhindered. Yes, you read that correctly: When you use the H2O Ninja Mask, you simply put the mask over your face, and you can breathe normally (Keep in mind, you’ll still have to hold your breath underwater similar to a traditional snorkel and mask). What’s more — according to the company’s website, by using the H2O Ninja Mask, you can actually extend your snorkel time by 30%-40%. And, who doesn’t love more snorkel time?! One of the coolest things about the H2O Ninja Mask is this: If water happens to leak into the mask (which is unlikely if the mask is secured around your face), it will simply settle under your chin. In fact, when you surface with the H2O Ninja Mask, you don’t need to “blow the tube” like when using a traditional snorkel. AND, if water happens to leak into the mask (which is unlikely if the mask is secured around your face), it will simply settle under your chin. When you lift your head above the surface, the water simply leaks out. The team at H2O Ninja say they designed the mask after a traditional gas mask. So, what was the motivation behind the mask’s invention? Sean says he wants to open-up the world of snorkeling to those who often feel shut-out. That includes people with jaw disorders, neck disorders, or other conditions that prevent them from using a traditional snorkel and mask. Sean says the team designed the H2O Ninja Mask after a traditional gas mask, and it took about three-and-a-half years to perfect. 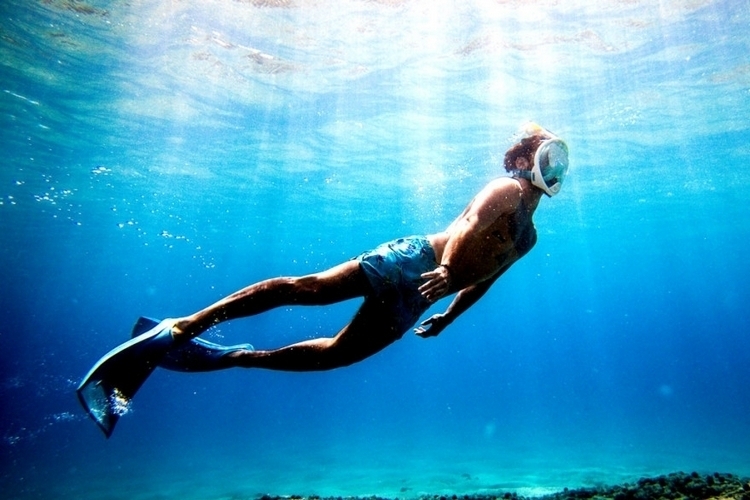 According to the company, by using the H2O Ninja Mask, you can actually extend your snorkel time by 30%-40%. And, who doesn’t love more snorkel time?! Prices for the H2O Ninja Mask vary, but you can expect to pay between $100 and $144 for the original version WITHOUT the GoPro mount. If you want a GoPro mount included, expect to pay about $165. However, you can rent a mask at any of the company’s retail stores — $30 for 24-hours. If you fall in love with the mask, the company will credit you $30 toward the price of a brand new one. Practically anyone can use the H2O Ninja, including people with jaw disorders, neck disorders, or other conditions that prevent them from using a traditional snorkel and mask. 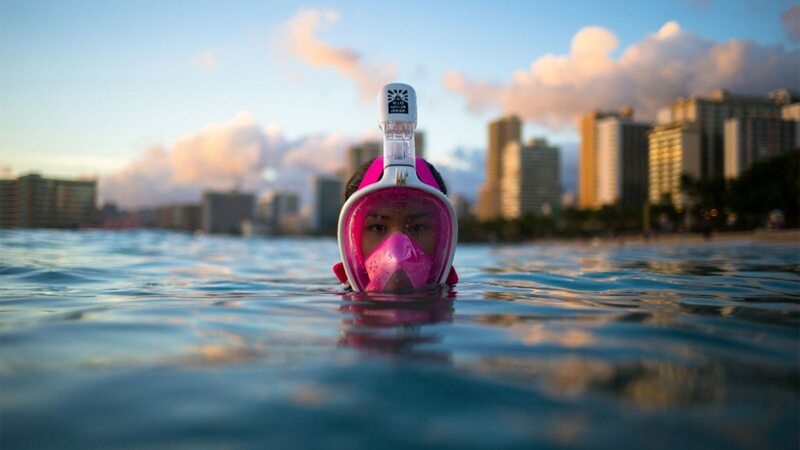 Or, bring your H2O Ninja Mask with you when snorkel in Hawaii. Book a Maui Snorkel and Kayak Tour or Manta Night Snorkel and Dive through Hawaii Aloha Travel. Bottom line? The H2O Ninja Mask is on the cutting-edge of snorkel technology, and it’s a great alternative for those of us who hate mouthpieces. And, anything that can nearly double my snorkel time is on my Christmas list for sure!